Mr. Jinda Maharaj was appointed to the Board on October 1, 2015. Mr. Maharaj possesses a wealth of knowledge and experience, having been with the TCL Group for over twenty-six (26) years. 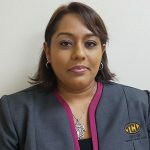 He has held various positions throughout the Group, including General Manager, Engineering Services Manager, Materials Manager, Production Manager, Operations Manager (all at Trinidad Cement Limited), as well as General Manager and Operations Manager at Arawak Cement Company Limited, Operations Manager at Caribbean Cement Company Limited, Group Energy Optimization Manager and Group Manufacturing and Development Manager. Mr. Maharaj holds a B.Sc. in Mechanical Engineering and an M.Sc. in Production Engineering and Management, both from The University of the West Indies, St. Augustine.